J.D. Wilkes has hillbilly super-powers. J.D. Wilkes is a backwoods renaissance man. 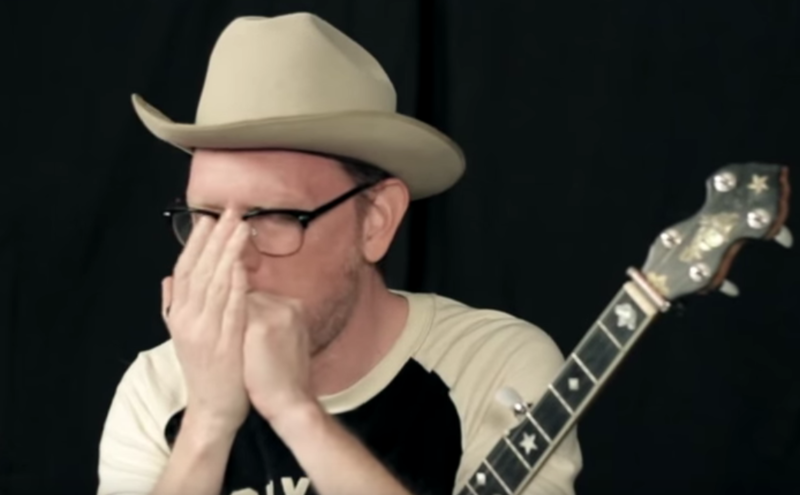 The singer/banjoist/harmonica player may have invented punk bluegrass when he fronted the Legendary Shack Shakers and later, a tamer version of that same ethic with his wife in a band called the Dirt Daubers. At the very least, he introduced the concept of thrash to the various forms of rockabilly music he and his different bands have made. At 44, thin as vines, dark hair slicked back, in plain suit and string tie, J.D. resembles a backwoods preacher about to challenge the devil with a fistful of poison snakes. I’m not making claims about the fundaments of his religion, but he surely grew up around tent revivals and knows how to work a crowd into a similar frenzy, albeit from the rock-and-roll stage. J.D. Wilkes’s unrelenting artistic output includes newspaper articles, a documentary film titled Seven Signs, countless cartoons, sideshow posters, a book about the history of barn dances across Kentucky, and then, a whole lot of music. A harmonica player of no small skills, J.D. has thrown in with Merle Haggard and Hank Williams III as well as churning out a near-constant flow of records with the Shack Shakers, the Dirt Daubers (that’s Kentucky slang for wasp), and various side projects. He still lives and works in Kentucky. Monday, March 21, 2016, 8 p.m.
Wilkes knows countless old songs from field blues to obscure hillbilly hollers passed down from porch to porch. The casual reader may wonder when Wilkes sleeps — if at all. That’s “Colonel” to you, by the way. J.D. Wilkes is a bona fide Kentucky colonel, which is, by definition, the highest honor granted by the Commonwealth of Kentucky. These things are handed down by the governor, who no doubt noticed Wilkes’s hillbilly super powers and made the pick. Whether or not the guv is a fan of the rockabilly arts is another thing altogether, but I’d like to think that he is.